It is often said that disposing and handling used cooking oil is one of the most detested job in the restaurant. Whether it is the smell, the mess or the danger associated with handling hot oil, most employees hate doing it and most owners and operator would prefer a solution that limits their risk of a burn, slip or fall. To address these concern, we have developed used cooking oil solutions that improve safety, cleanliness and provide data driven insight regarding oil management and utilization. Since 2010 we have installed over 3000 Tanks within hundreds of different concepts and chains. Our goal is always the same provide a turnkey solutions that protects employees by limiting the amount they have to handle hot oil, provide a more enjoyable workplace and dining experience for customer that is clean and free of messy outdoor bins and when valuable, provide actionable data for the improvement of oil management. At EnviCor, we work closely with our rendering partners and restaurants to identify, install and when necessary service the optimal application of our solutions to meet their specific needs and maximize the positive impact that a UCO solution can have on their business. Handling used cooking oil is one of the most dangerous jobs in the kitchen. SmartTank eliminates the challenges associated with outdoor grease bins. 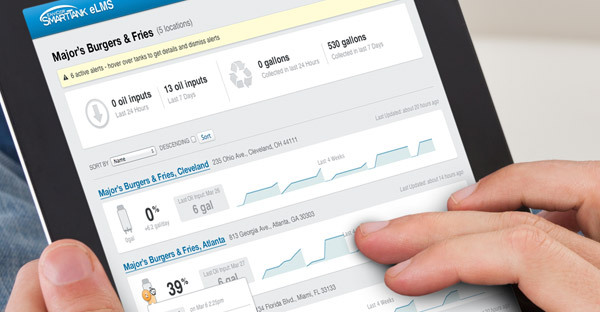 Because you can’t manage what you don’t measure, eLMS provides actionable data. We developed The SmartTank to be the optimal combination of Safety, cleanliness and Data to maximize all the value a used cooking oil solution can deliver to an owner/operator. 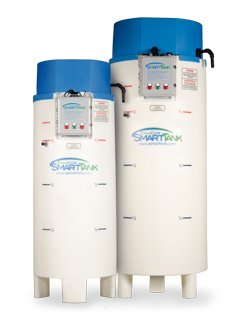 Through our ECT Line of Tanks we are offering the same safety and cleanliness benefits of the SmartTank at a price point that is significantly lower and offers far more ROI than an outdoor bin. From helping you choose the best location for your SmartTank, to performing a professional installation, EnviCor offers tailored solutions to fit your operation. With over 3,000 tanks installed across a variety of location types from fast food, to casual dining, to sporting venues, we have the experience and know how to ensure a successful installation. Regardless of your restaurant’s location, kitchen footprint or equipment type, our experienced team will develop a hassle-free installation solution that is customized for you. 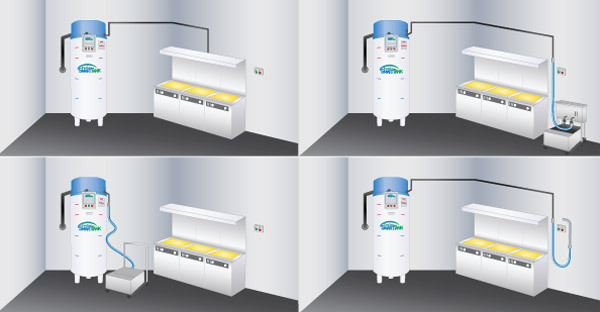 eLMS, powered by The SmartTank, is not just a system but an innovative used cooking oil Solution. eLMS monitors, tracks and communicates accurate timely UCO activity from filtration to collection. Our solution uses embedded intelligence and two-way wireless communication to provide restaurants and recyclers accurate information, metrics and reports to increase revenue, cut expenses and ultimately improve profitability.